Late last year, DARPA launched UAVForge -- a competition that invites contestants to create their very own unmanned aerial vehicles, and submit them for voter-based evaluation. The project is far from over, but competing teams have already started sending in their proof-of-flight videos, giving us a glimpse of what's to come. So far, it looks like the GremLion UAV (pictured above) is the early favorite, after coming out victorious in the first round of voting. 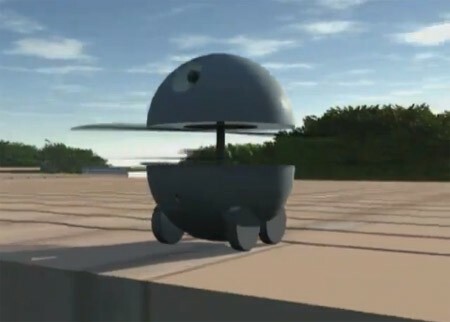 Developed by a team from the National University of Singapore, the GremLion looks like a bite-sized Death Star and flies around using a coaxial set of rotors that expand tulip-style out of its shell. Also included in the UAVForge showdown is a guy known as X-MAUS -- an Arduino-controlled quadcopter that can apparently transform into a more aerodynamic plane form upon liftoff. And, rounding out the list of notables is a submission from TU Delft known as the QuadShot, which is basically a miniature B-Wing from Star Wars. Except it's real. Hit up the break to see all three in action. DARPA's crowdsourced UAV competition heats up, takes off (video) originally appeared on Engadget on Wed, 08 Feb 2012 04:58:00 EST. Please see our terms for use of feeds.